The actor, who recently (Wednesday) appeared on The Late Late Show with James Corden to promote his series, said that the original cast recently sat down to watch it with the show's creators - Dan and David and it was unbelievably bad. Yes, while conversing with the host, Coster-Waldau made this startling confession as he said, "It was unbelievably bad. It was actually amazing to see. And there's no reason that we're sitting here talking about this today; no one should have picked that up." 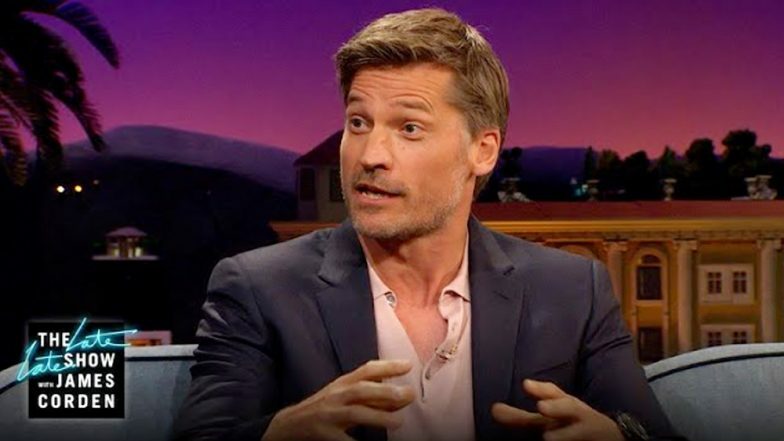 However, Coster-Waldau revealed that there was this one guy, Richard Pleper the CEO of HBO, who liked the pilot and gave the go ahead. Coster-Waldau further added, "When Richard Pleper went like, 'This is great! Let's do it', we did it, and we reshot." The rest, as they say, is history. Game of Thrones 8 Premiere: Here’s When and Where You Can Watch The Series! Well, this is not the first time someone has dissed the pilot of the show. Earlier, the showrunners David Benioff and DB Weiss too had confessed that the show's pilot was bad so much so that they had to reshoot it. Yes, in a 2016 episode of the podcast "Scriptnotes," David said that watching the pilot was "one of the most painful experiences" of his life. Fortunately, the pilot, which was a total trainwreck, never saw the light of day. Well, Game of Thrones season 8 premieres this Sunday at 9 pm on HBO. Stay tuned to LatestLY for more updates.